It probably doesn’t come as a surprise to you that I’m a very ‘girly’ girl. I love makeup and skincare. I enjoy dressing up and making myself look nice, but I’ve been feeling insecure lately, I’ve been comparing myself to others and I have felt rubbish about myself and my appearance because of this. 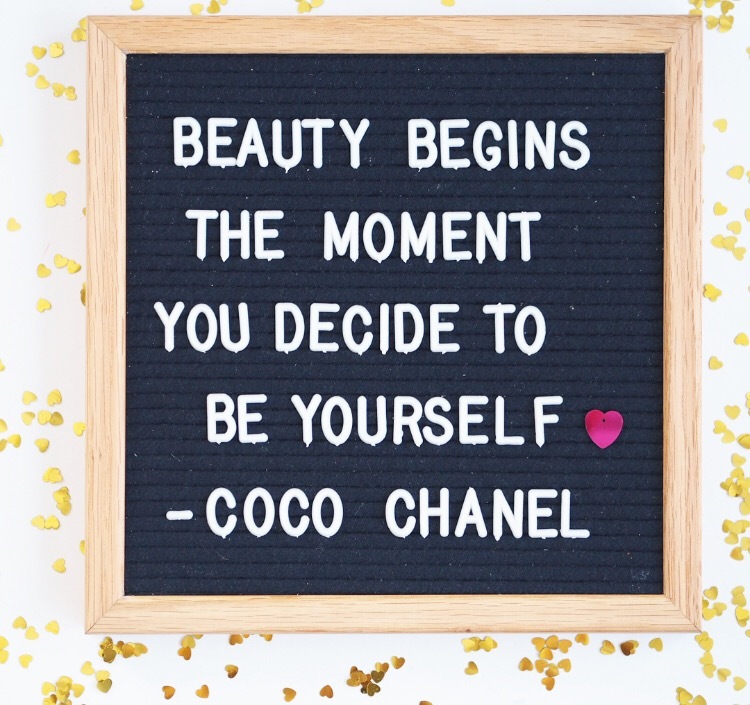 I love the beauty industry, and this post isn’t about turning my back on it, but I wanted and indeed needed to look inside myself to find my own inner beauty, rather than putting too much pressure on myself to look like others. In the past I’ve been too insecure to even take off my makeup in front of partners, fortunately this isn’t the case with Ed and he builds up my confidence by telling me how nice I look, with and without the makeup. Having a young daughter, I do try hard not to focus too much on my imperfections when she’s around, and some of the best photos I’ve got of the two of us are when I have a serious ‘mum-bun’ going on and barely any makeup on. I put so much pressure on myself to look good, but ultimately it’s the snaps I share via social media where I’m not making an effort and laughing naturally that people love the most – because beauty does come from within. I’ve been going through a hard time lately and I haven’t been taking care of myself enough and it shows. It’s taken its toll on my outer appearance, as I have spots and dark circles under my eyes, but it’s also made me doubt myself and I haven’t been happy or passionate about much at all as a result. This week I’ve been making an effort to focus on me. I’ve been making time for myself, taking care of number one, and I really do think it’s helped. I feel more confident, relaxed and ready to take on the world, and most importantly I’ve realised that it’s not other people’s opinions of you that matter, it’s your own self image that is important.